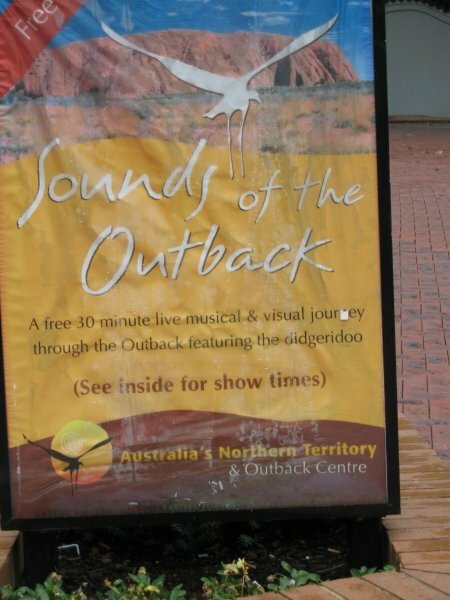 There's a large number of aboriginal "outback" stores in Sydney, and each one swears that it carries authentic goods . 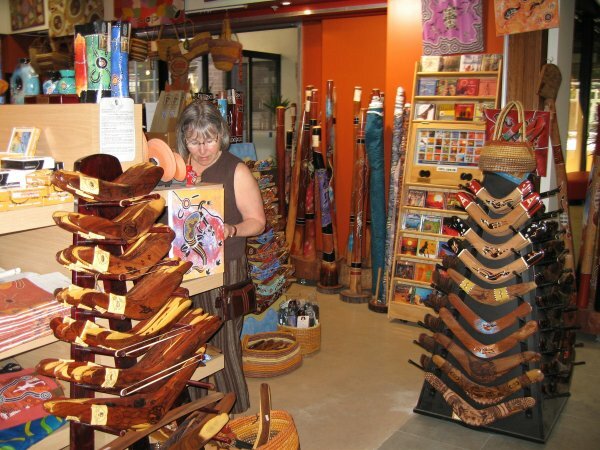 . . art, patterned cloth, boomerangs and, yes, even decorated didjeridoos. 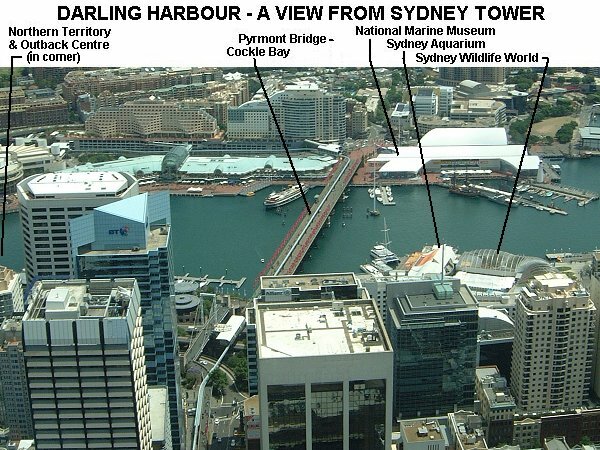 One, below, in The Rocks section of Circular Quay declares that it is the only one owned by aboriginal people. 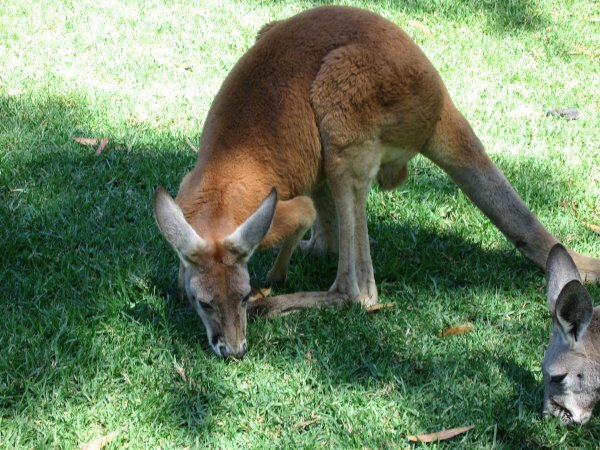 Personally, I bought a boomerang from Fritz, our driver and guide on the Blue Mountain 4-wheel-Drive Adventure Tour, who demonstrated its use after he prepared an "Aussie Billy Tea" at Euroka Clearing while wild kangaroos looked on. Pat managed to find a store in Sydney that had some art and fabric to suit her taste. 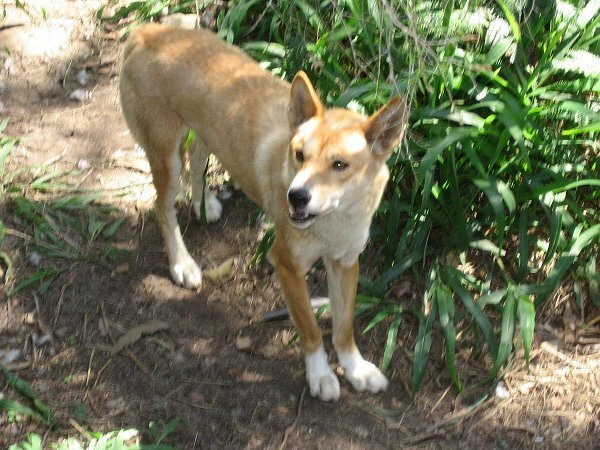 Surprisingly, she couldn't find Australian or New Zealand wool in Sydney; she was advised that Melbourne was the place to go. 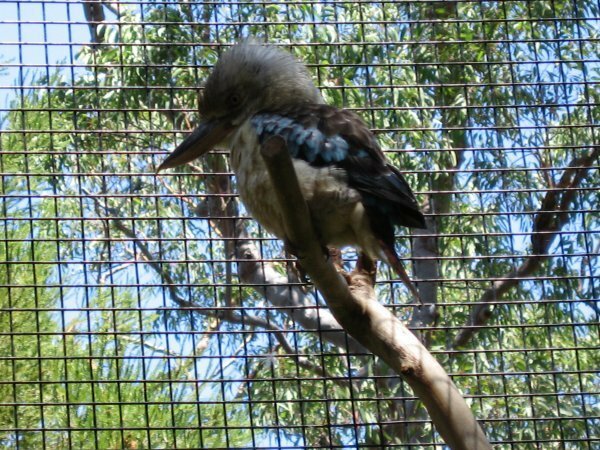 As for didjeridoos . . . 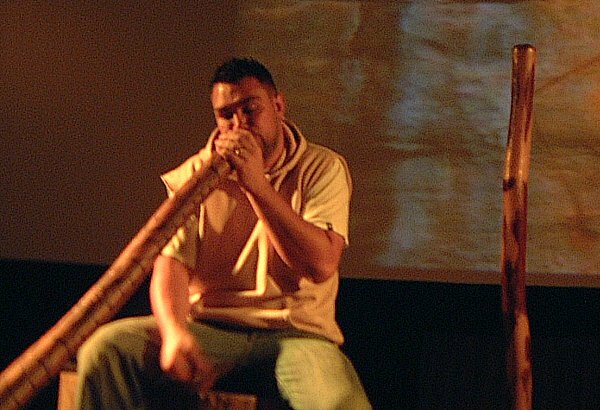 Darling Harbour was an easy walk from our hotel and the store, the "Northern Territory & Outback Centre", offered stage demonstrations on the playing of the didjeridoo (also spelled Didgeridoo). The featured star of the show was Jeremy Donovan, who told us that he had travelled to western parts of North America in the USA and Canada. 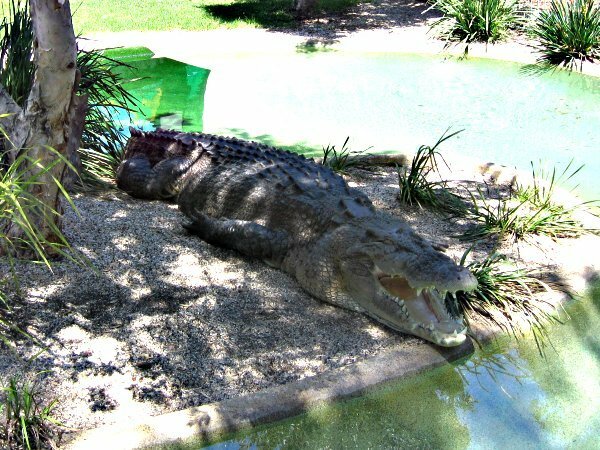 All photos may be clicked to obtain larger versions. 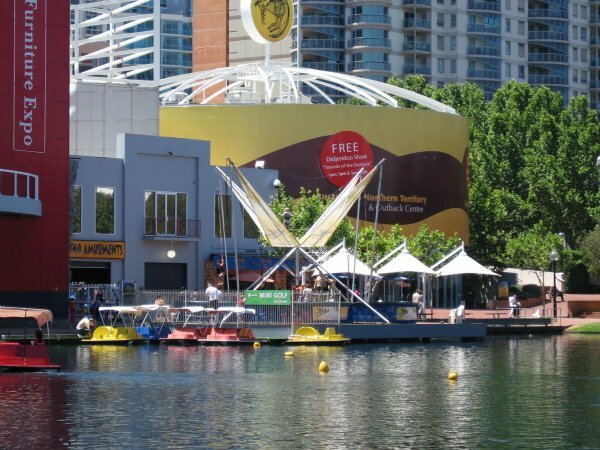 In this first set, I have included a view of the Outback Centre across the inner or southernmost part of Darling Harbour(1). 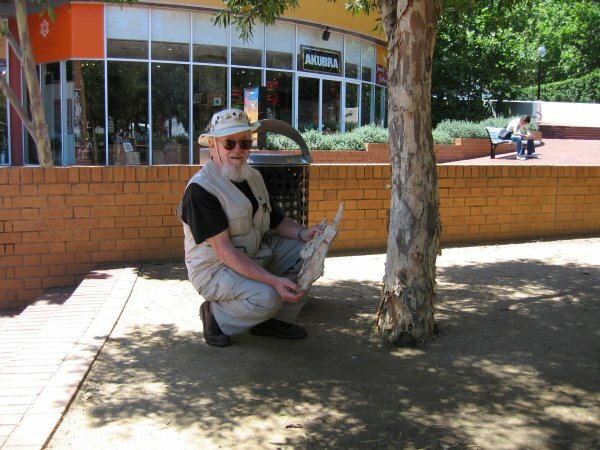 Pat found a comfortable bench (2) as we waited for a free performance on the didjeridoo at 3:00 PM, and Doug examined the way bark has peeled away from the trunk of a Eucalyptus (Gum) tree (3) whose upper leaves are favoured by the Koalas. 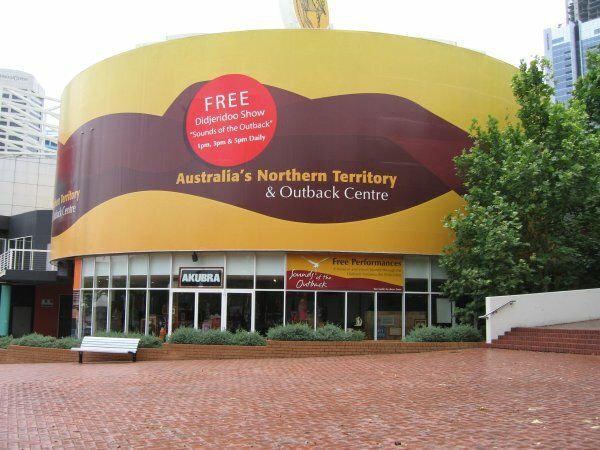 Directly to the east, we had a clear view of the Outback Centre (4). 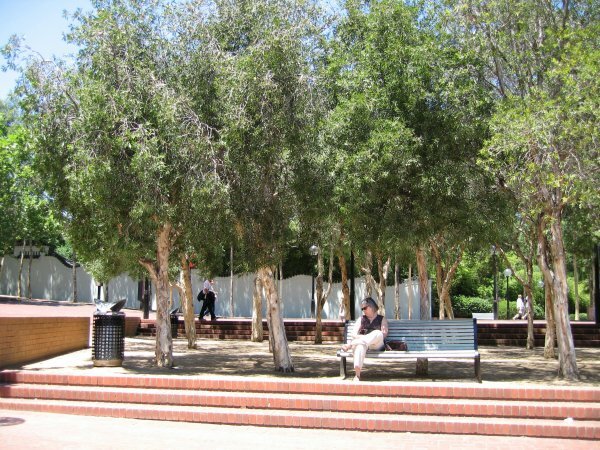 A sign was placed in front of the building before the performance was to start (5). 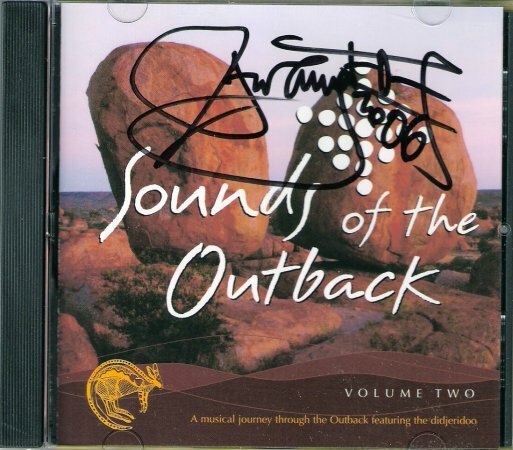 Afterwards, Jeremy autographed Pat's CDs (6). 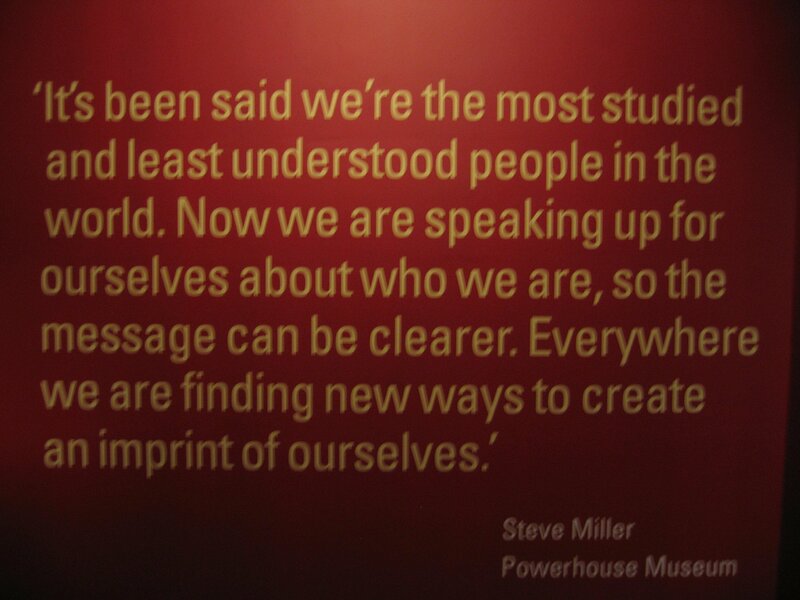 At the Powerhouse Museum near Darling Harbour, we found a quotation by Steve Miller (7) in a section devoted to the aborigines.